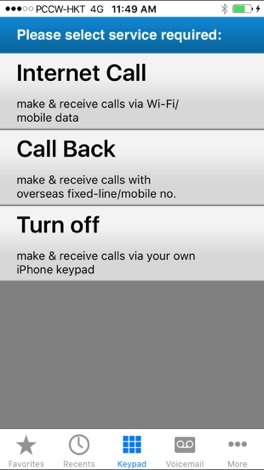 PCCW BizTraveler enables you to manage business calls and call logs anytime, anywhere on your iPhone. A simple-to-use interface means you can make and receive calls just as if you were in Hong Kong. You can choose to make Internet or callback calls to suit your business needs while travelling overseas. No need to memorize short codes when making outgoing calls. You can make a call just as if you were in Hong Kong. Most voice apps require that you use a new or even anonymous phone number. 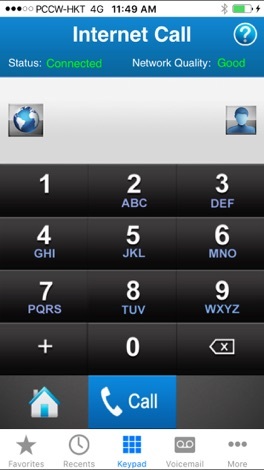 Now you can show your office number to callers – a number that represents you best. 3) BizTraveler’s location service works in the background, and alert you to the option of turning off the app when you finish traveling. 4) Continued use of GPS running in the background can dramatically decrease battery life.